Originally opened back in July 1974 and designed by Frank Pennick, the Sentosa Golf Club has a rich history emerging from Singapore’s independence. The small island was the governments dream to create a tourist destination. The original Tanjong course was carved out of the lush tropical landscape, where mangrove swamps and kampongs were developed into rolling greens. 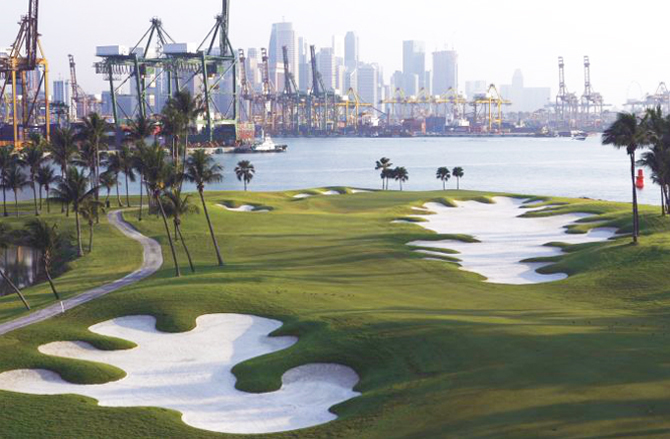 Over the years golf grew in prominence and with it the Sentosa Golf Club. 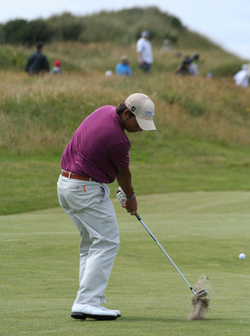 Ronald Fream was commissioned to design a second course, which is now known as the Serapong course. Unlike Simon Dyson 25/1 who didn’t finish well with final rounds of 70,71, but this was Simon’s first tournament after a two-week break and a Top 20 finish in Shanghai bodes well. Jeff Overton 33/1 closed with a pair of 69s in his last tournament in Malaysia, after a third round 62 to finish in 2nd place so should come into this full of confidence and refreshed after a weeks rest. Another player who has had a weeks break is Scotland’s Richie Ramsay 40/1 who had back-to-back third place finishes in his last two tournaments, which included a 64 and a couple of 65s. Shane Lowry 66/1 finished well in the Andalucía Masters over a tough Valderrama, shooting a final round 67 to take outright 4th place. Pablo Larrazabal 80/1 has had a rollercoaster year, a win and five other Top 10 finishes are counter balanced by eight missed cuts, but at these odds its worth putting a couple of pounds on the lad from Barcelona.